Photoblog of things that make me laugh hysterically. I thought about blocking out the phone number, but who knows? Maybe one of you would like to check out the pink trailer-which by the way has frolicking wales painted on the other side. This makes me laugh even a year later. This is what my boss drives to work in the summer. I don’t have a photo, but one of my co-workers was a parole officer and that seems even more outrageous for a librarian. This bucolic scene is just up the street from me. This one does not make me laugh, but if you know me it will make you laugh. I see in the perfect combination of things that excite me in vehicles, the potential for the perfect combination of the things I love in a person. 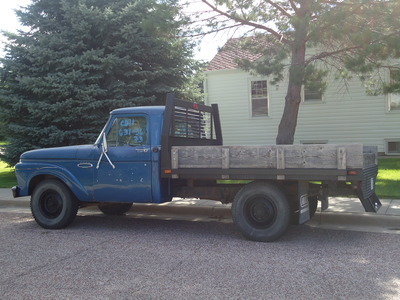 Flatbeds make me weak in the knees, and the pickup? You have to know me I guess. Another flatbed but this one does nothing for my knees. Edit in honor of Roadkill_spatula. Roadkill_spatula, this is as close to aqua as I could find. 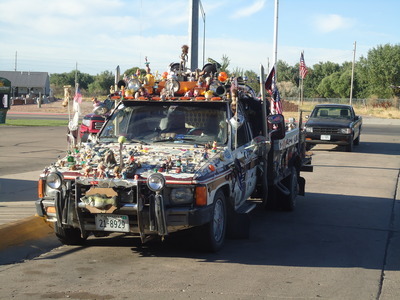 It is a two story trailer, you can’t ask for much more. Makes me think of an old Country song…”He’s got his story and I’ve got mine too.” Can’t wait to bring you some homemade bread so you will feel at home. 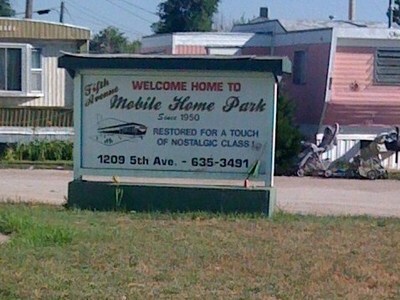 I most definitely want to live in that mobile home park. Do they have anything in aqua? 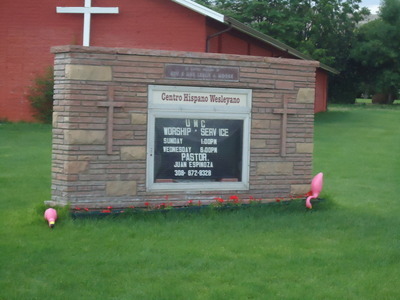 Nice to know the church does not discriminate against flamingos. 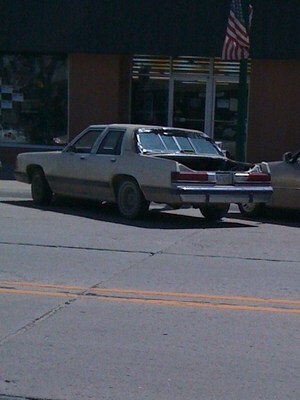 @Roadkill_Spatula – I will look when I drive by next. Fess up. Did those flamingias come out of your front yard?? 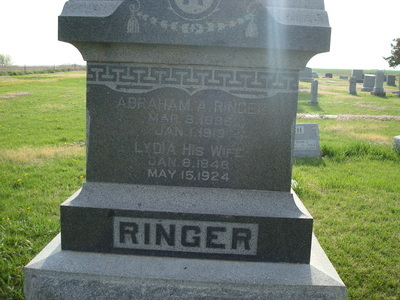 wait…what, with the tombstone?? I love the pink trailer. Awesome. @ordinarybutloud – It is a dead Ringer. Subtle. @carol97 – Nope, but I saw when they mowed they put them up better. 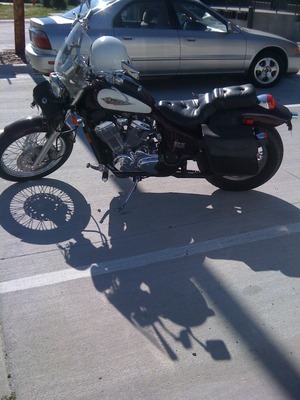 @Roadkill_Spatula – Here you go! Excellent. I stayed in a two-story trailer for a few days once. Fascinating design. 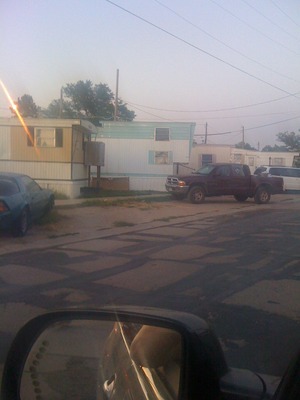 I moved from it into a 20-foot travel trailer where I stayed for a year.I don’t miss it.